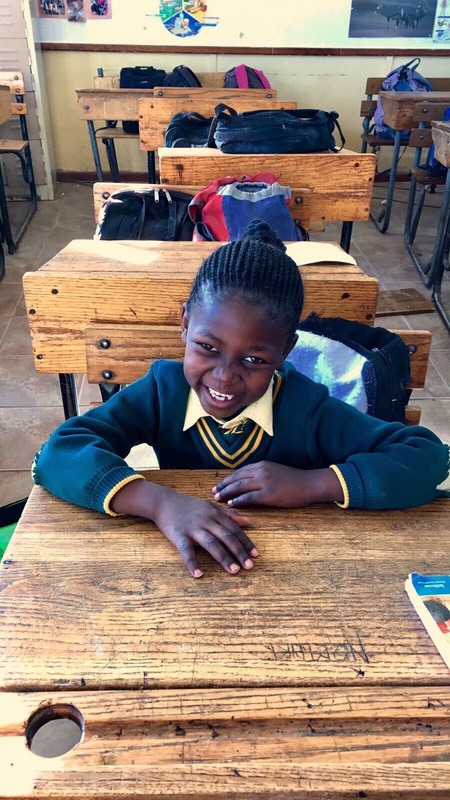 The fifth Vusumzi Primary School classroom is dedicated to Bernice M. Ward, a woman of Irish descent, who was born and raised within walking distance of many of the world’s finest universities. As the youngest child in a large family, Bernice could never attend any of those schools, despite her membership in the National Honor Society and her having received a high school diploma with honors. Following in the path of her sisters and to support her family, Bernice began working full-time the day after she left high school. Despite not being able to continue her education at the university level, her curiosity and desire to learn continued throughout her life, attributes she managed to instill in her only child. She had the foresight to know that a dedication to lifelong education was one of the greatest gifts she could offer. It was Bernice who first made her daughter aware, when she was quite young, of the value of education, and the effort necessary to excel. After her daughter finished her master’s degree, Bernice often commented that her child's decision to devote so much of her life to education, first as a student and later as a teacher, made her quite happy. Even though her daughter told her that it was her example that informed so many of her own choices, her child did not know if Bernice ever fully appreciated the degree to which that was true. Her daughter says today, with complete certainty, that Bernice McCarthy Ward would be surprised, humbled, and delighted to know that a classroom for the children of Vusumzi Primary School has been named in her memory. There is no better way to pay tribute.